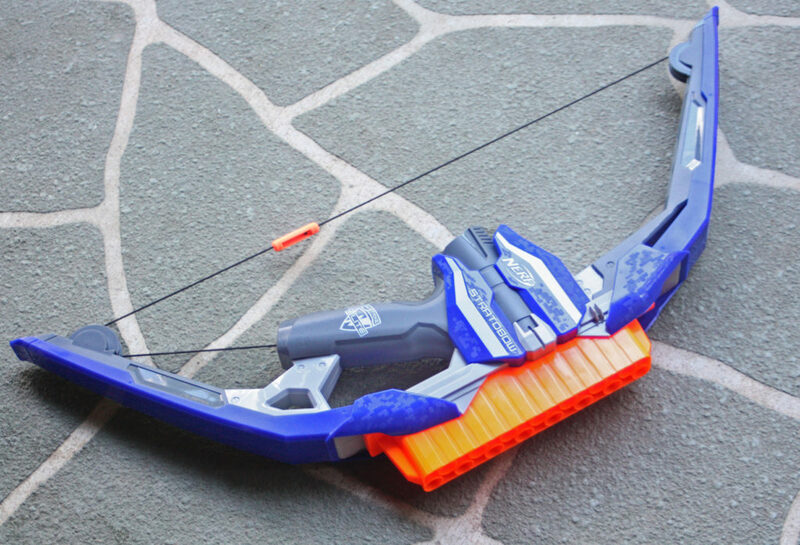 Once again, Nerf has released another bow blaster onto the market, making the whole bow blaster concept a drained out idea. Although the N-Strike Elite Statabow may not be unique, it might however be the best bow blaster to use on the battlefield due to its large dart capacity. Let’s find out! Included with the Stratabow are 15 elite darts and an instruction sheet. The usual. As you can see from the pictures, the Stratabow is quite a cool looking blaster – with a bit of a futuristic edge. It almost looks like it belongs in a sci-fi video game! 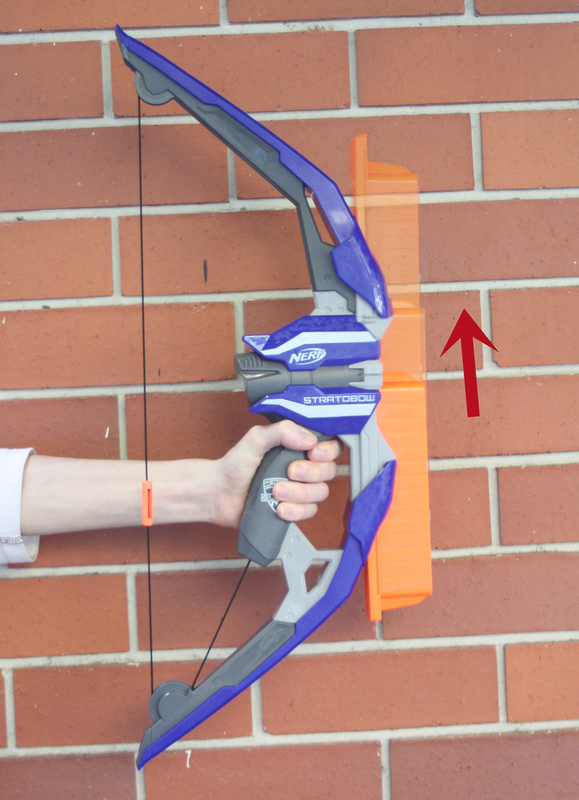 To function the bow-blaster, load 15 darts into the clip, push the clip downwards, and pull and release the string to fire. You’ll have to ensure that the string is pulled all the way back, for the dart to launch properly. The user will be able to continuously fire the rest of the 15 darts, as the clip ascends. 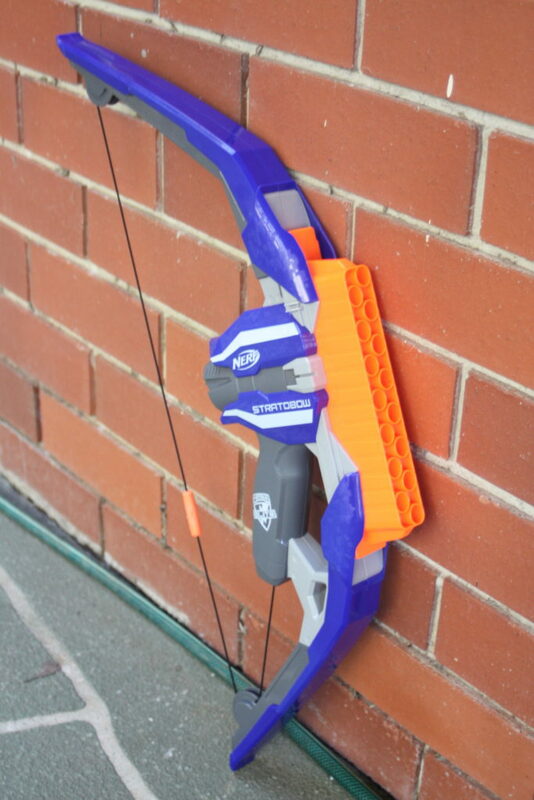 Unlike the Mega Thunderbow, this bow blaster does not operate by a smart AR system, instead, the clip will align each dart with the plunger, as the clip ascends after each pull of the string. So how far can this thing shoot? From shoulder height tests, most shots landed between 44ft to 48ft (around 13.5m to 14.5m), while some other shots landed above 60ft (over 18 metres)! Despite these pleasing results, the Stratabow can also fire off some dud shots. The kind of shots where the dart just flops out 10 feet away. This may happen because the Stratabow is picky with darts or there’s something internally wrong with it. This leads to my next problem with the Stratabow, and that is, sometimes darts don’t even fire out. After the magazine has fully ascended from shooting, most times I’ll see several darts still remaining in the magazine. 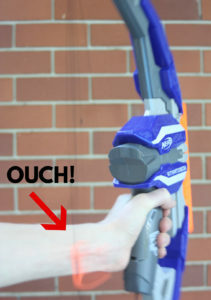 However, this could be an issue with just my blaster, since I haven’t heard other reviewers complain about this problem. If you have the same issue with your Stratabow, let me know in the comments below. 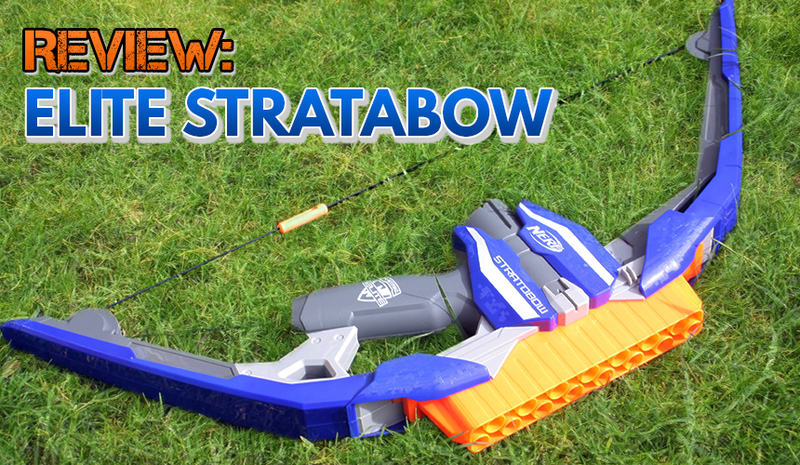 To sum it up, the Stratabow has some great firing power – when it actually shoots. 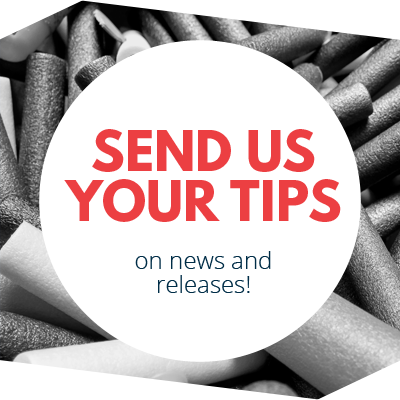 And if you do encounter this problem of unfired darts – it’s a frustrating process to launch the remaining darts as you need to align the darts with the plunger. So whenever I have unfired darts, I just take them out and pop them all at the top of the magazine. Another gripe I have with the Stratabow is that your wrist/arm get’s constantly whipped when releasing the bowstring. I usually see a red mark on my wrist after using the bow briefly. I’d hate to see what happens when using it all day in a Nerf War. This issue can be avoided however, as long as you pull the string on an angle. 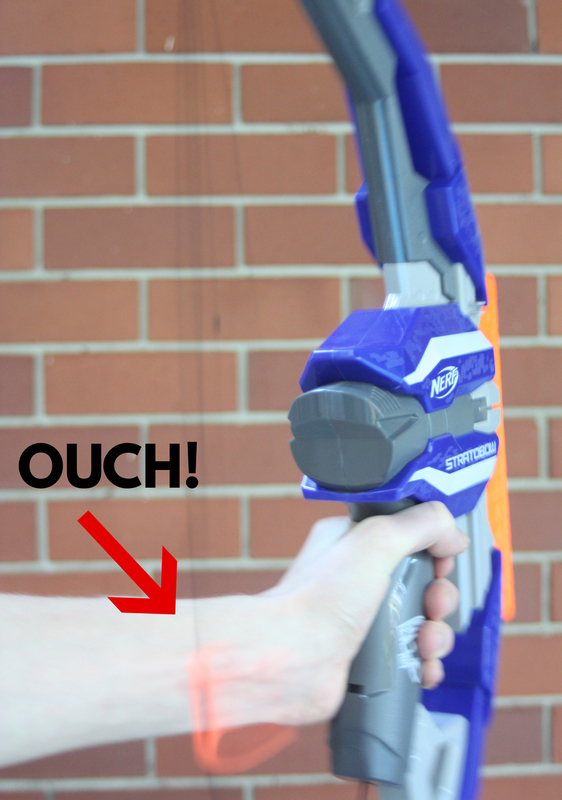 I would never recommend a bow blaster for a Nerf war since a trigger based blaster is far more reliable and accurate. My opinion still remains the same. 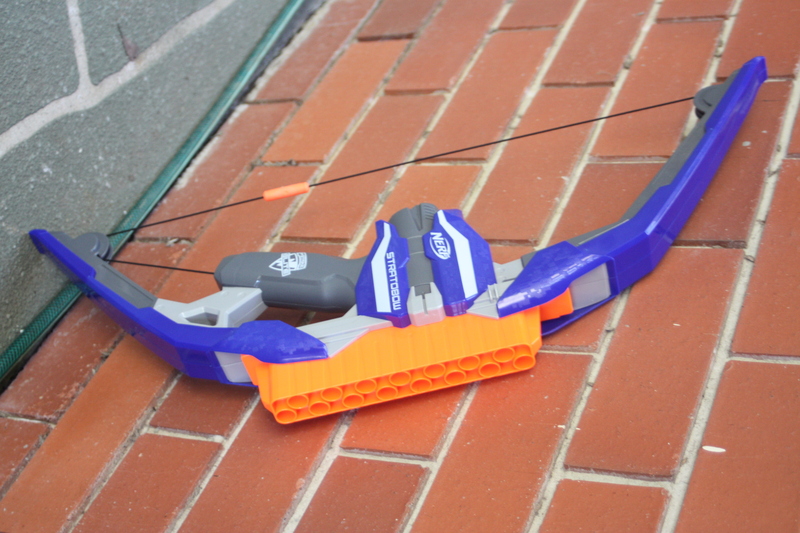 At $40 AUD, I could not recommend the Stratabow, even if it has the best capacity (compared to other bow blasters). But if you like bows and gimmicks and are willing to spend your bucks, you should like the Stratabow. However, when talking fun-factor, I’d say the Thunderbow is a better choice since Mega darts are so much more fun to fire. 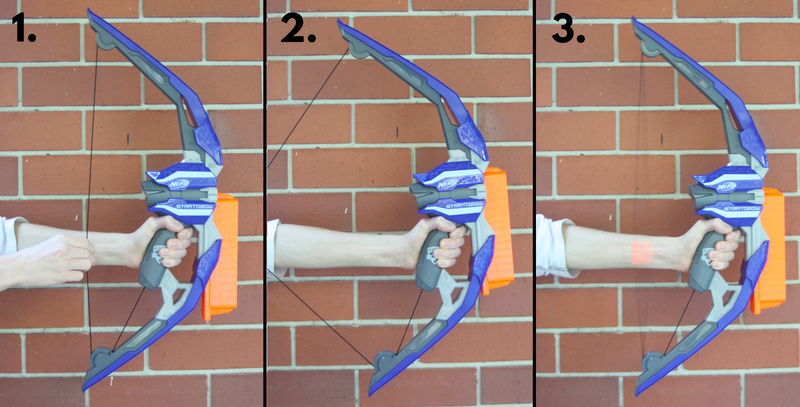 But of course, if you want a Legolas-style action bow, the Stratabow is not a bad choice. I hope I’ve helped you in deciding whether you should buy the Stratabow or not. If you’re keen, I would definitely recommend finding this item at a cheaper price. 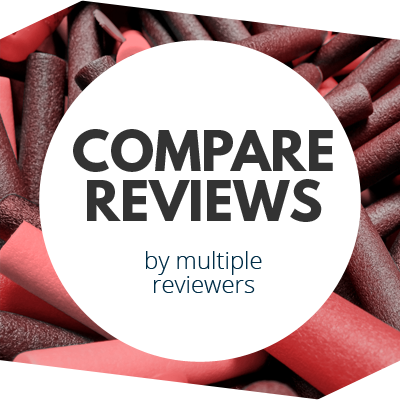 This entry was posted in Reviews and tagged australia, blaster, blaster hub, elite, n-strike, nerf, review, stratabow on October 16, 2017 by JJ Reviews. Yeah, it would be too frustrating to use in a Nerf war. I’m glad I’m not the only one with the Stratabow problem.